Another supplementary estimate has been presented to parliament to get about Rs.350 million approved for the controversial Shangri-La Hotel project say reports. 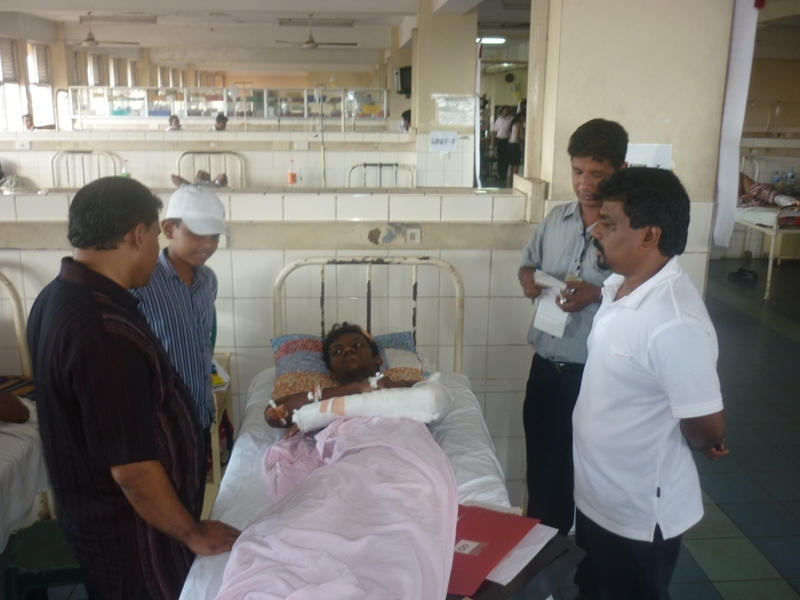 The Chief Government Whip Minister Gayantha Karunatilleke presented the estimate to parliament yesterday (19th). 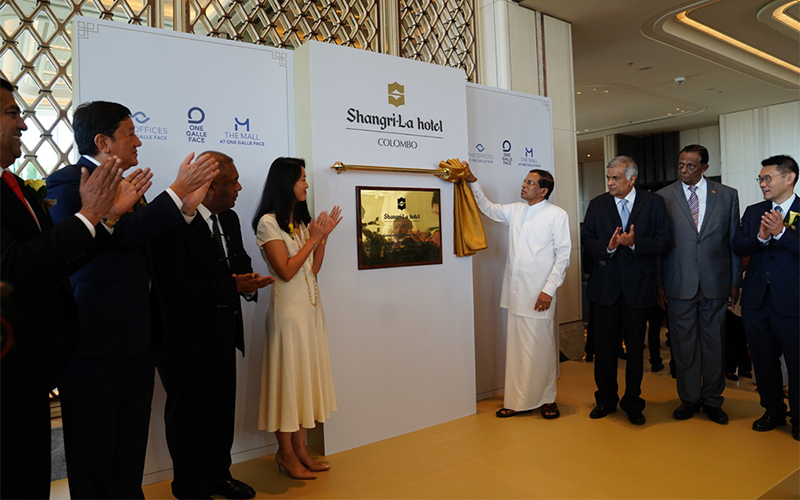 According to information revealed the supplementary estimate has been presented to settle the shortage of funds required to provide infrastructure facilities for Shangri-La Hotel. 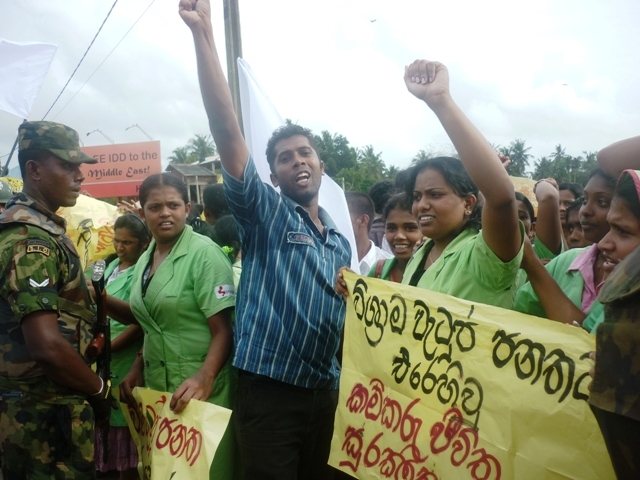 The grant has been allocated under the Ministry of Provincial Councils and Local Government. 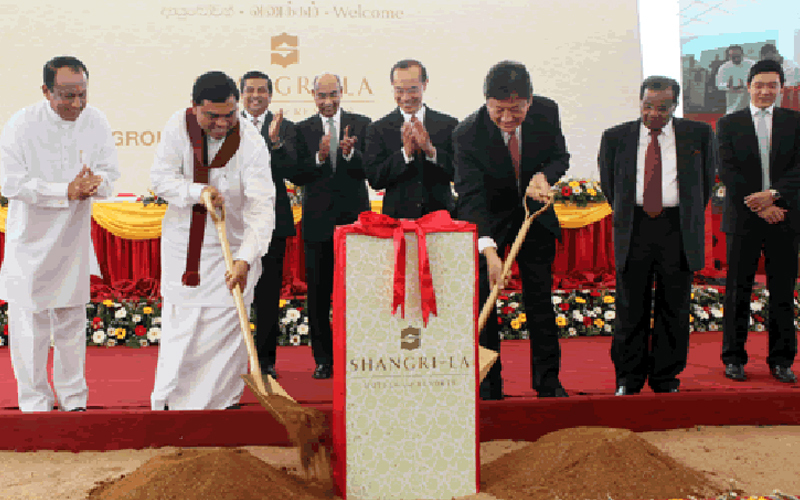 Shangri-La Hotel project is a Chinese project that caused a stir in the political circles and among the matters that came to the surface were illegal commission taking and selling land outright to China. 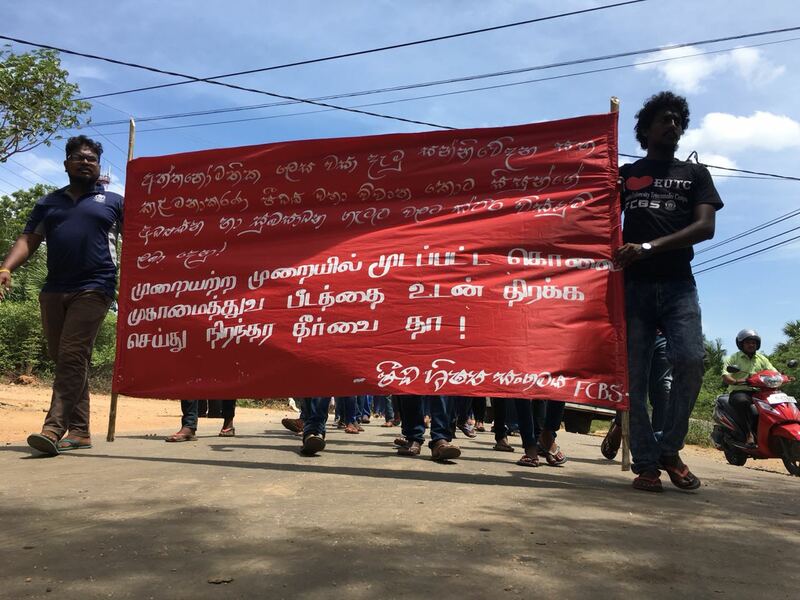 They would resign from their ministerial portfolios if the government fails to provide, within three months, a land to fence in the two elephants that live in Sinharaja forest say the Minister of Wildlife Field Marshal Sarath Fonseka and the State Minister Palitha Thevarapperuma. 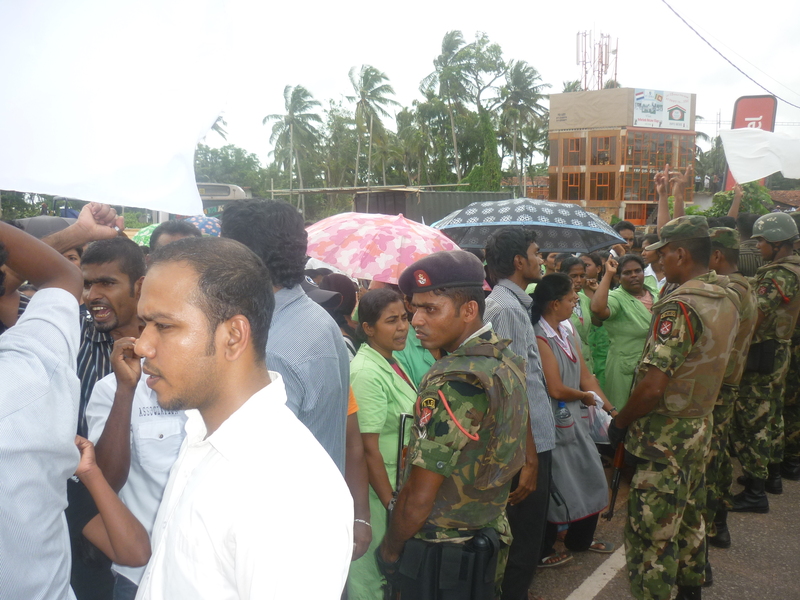 The Minister and the State Minister said this to residents in Rajawaththa area at Rakwana. 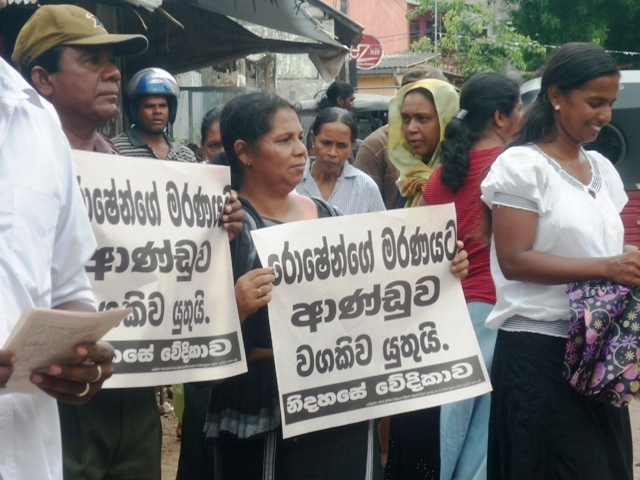 They asked President Maithripala Sirisena to fulfil the promise he had made to give a land to fence in the elephants. 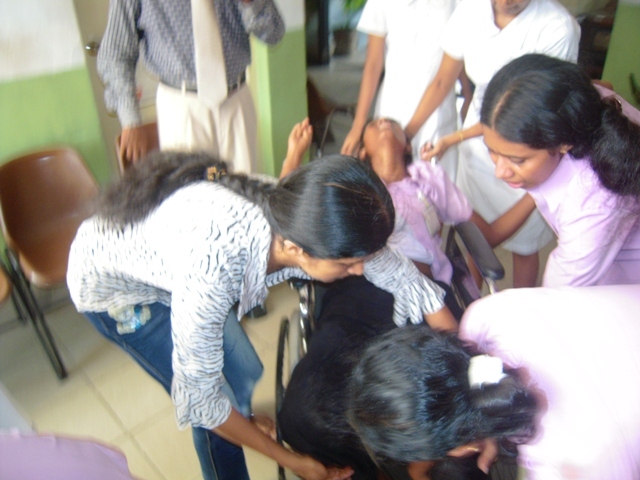 Colombo Additional Magistrate Chandana Kalansooriya has ordered Narahenpita Police to issue a temporary driving license to Ramith Rambukwella, whose driving license has been suspended for three months by a Court in connection with the incident when two university students were injured due to his reckless driving. Cinnamon Gardens Police has filed a charge sheet against Rambukwella in which he is charged on the five counts of reckless driving, failing to avoid an accident, drunken driving, driving an unregistered vehicle and using fake number plates. Ramith Rambukwella is the son of JO Parliamentarian Keheliya Rambukwella and has caused accidents driving after consuming liquor. Ramith, a cricket player, has been accused of assault, terrorizing people with weapons, attempting to jump from a plane after consuming liquor on a flight. Former Prisons Commissioner Emil Ranjan Lamahewa and Police Narcotic Bureau Inspector Neomal Rangajeewa who were arrested in connection with the murder of 27 inmates in Welikada Prison in 2012, were further remanded till 3rd July by Colombo Additional magistrate Priyantha Liyanage today (19th). 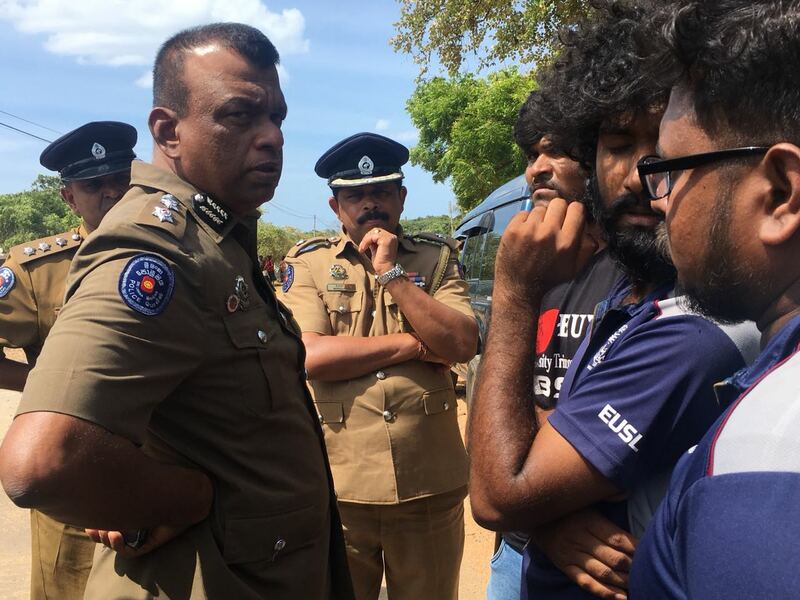 The CID officers informed Court that information has been revealed regarding 12 more persons connected with the murders. And they asked the magistrate to issue an order to get details about telephone conversations the suspects have received and given. The Magistrate after considering the request ordered several telephone companies to make available details about telephone conversations the suspects have had within a month. 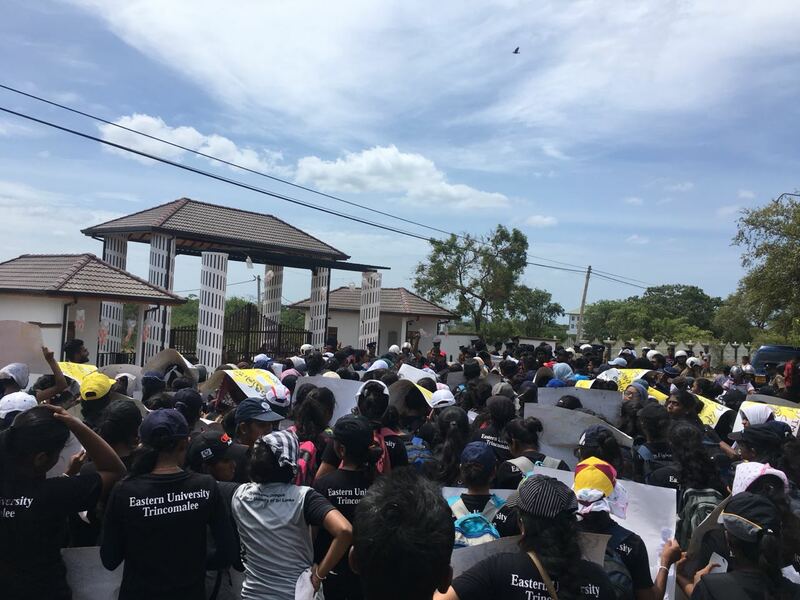 The students of the Trincomalee Campus of the Eastern University engaged in another protest campaign yesterday (18th) to demand solutions for their grievances that include withdrawing of suspension orders imposed due to arbitrary moves of the authorities, finding solutions for examination irregularities, shortage of teachers, raising the quality of the degree and students’ welfare issues. 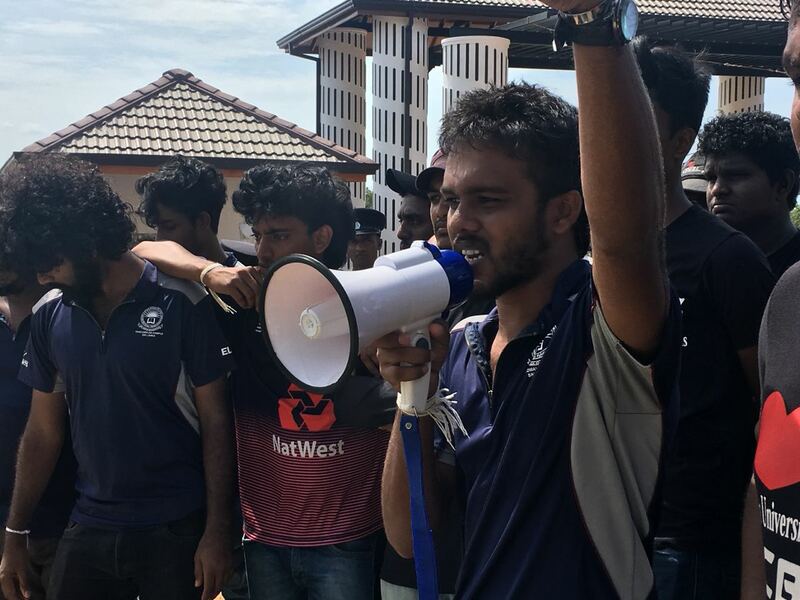 Despite the boycotting of lectures the students have begun to get their grievances solved has exceeded its 50th day, the authorities have completely ignored the issue. 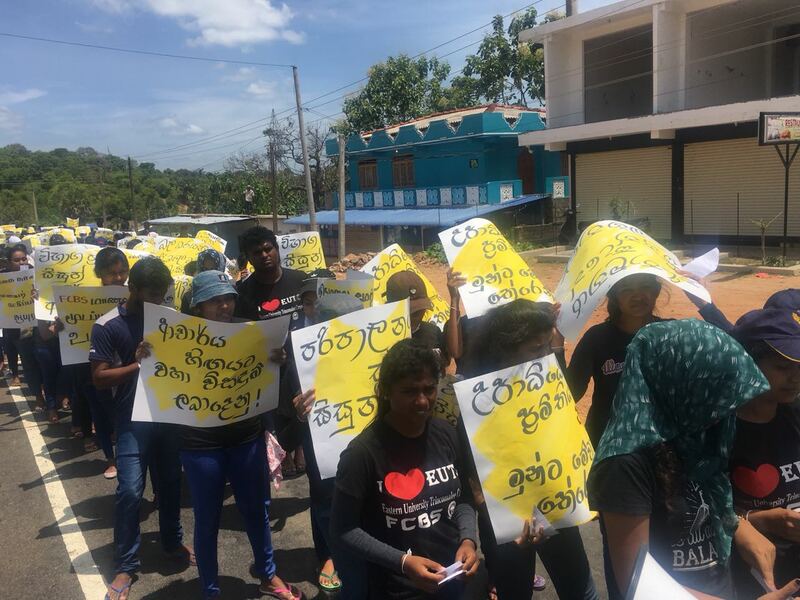 The students carried out protest campaign opposite the campus protesting against closing down the campus arbitrarily. 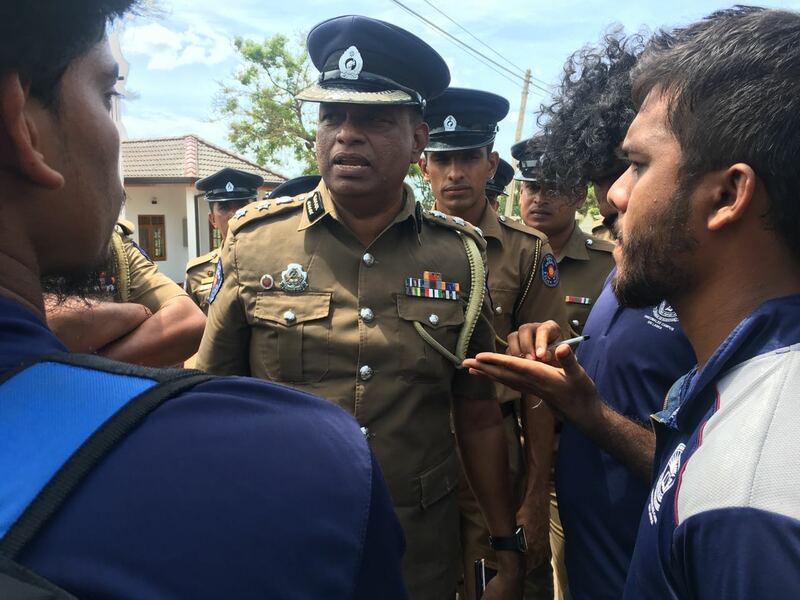 SP Police for Trincomalee District, who had arrived at the site the students were engaged in their campaign unsuccessfully attempted to get the Minister connected. However, after a telephone conversation with the Governor, he had promised to arrange a discussion with the Governor and the Rector on the 21st. With this promise, the students have temporarily suspended their campaign. 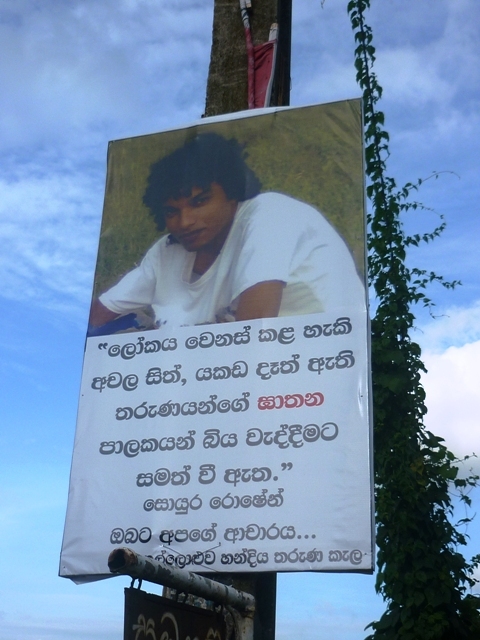 Roshen Chanaka, a youth who took part in an agitation to protest against an attempt by Mahinda Rajapaksa administration to manipulate Employees Provident Fund on the pretext of a pension scheme for the private sector was killed when the government deployed riot police squads shot at the unarmed protestors on 30th May 2011. 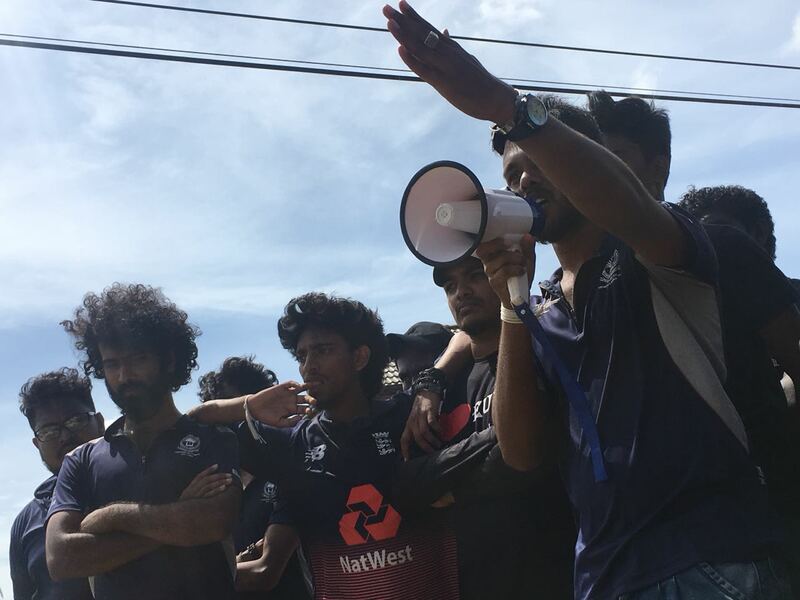 The case in connection with the incident is being heard in Negombo High Court at present. The leading of evidence relevant to the case commenced yesterday (18th) before High Court Judge Amal Ranaraja. An employee of AGT establishment, whose employees were subjected to the shooting incident and a Director from Export Development Board, gave evidence yesterday. 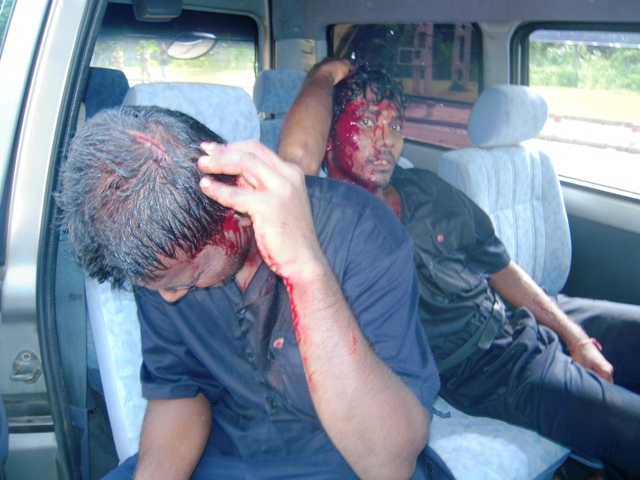 Also, two journalists from ‘Sirasa’, who had covered the incident, had been called to give evidence. Minimizing all executive powers is the expectation of the masses says Immediate Past President of Bar Association of Sri Lanka (BASL) Upul Jayasuriya. The demand of all organizations that campaigned on behalf of the present President at the Presidential election was to abolish executive presidency. It was the main demand. However, there were different views about the powers that would be slashed. He said, “People do not oppose the President being elected without a presidential election and people do not say the President should be a nominal president. Earlier the country had governors. People do not oppose the president getting more powers than what the earlier governor had. There hasn’t been any reduction in the powers executive president has. People expect these powers of the executive to be reduced. He was prepared to bring down Udayanga Weeratunga who has been internationally warranted in connection with the ‘MIG’ deal that was committed during his time and Prime Minister Ranil Wickremesinghe should take measures to bring down his friend Arjun Mahendran who is accused of being involved in the Central bank bond scam says former President Mahinda Rajapaksa. 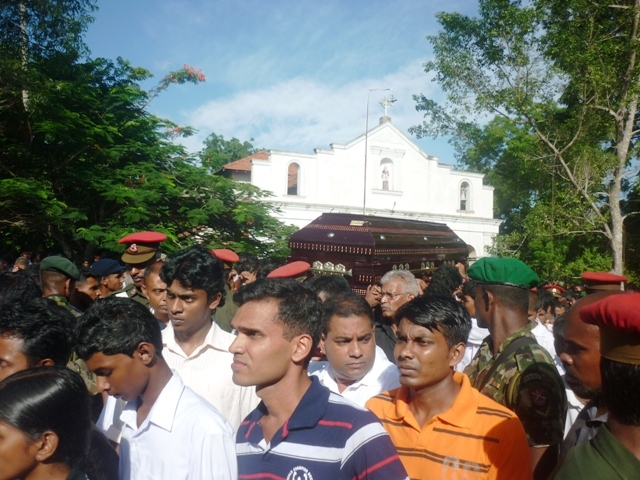 He said this responding to a question posed by journalists at Anuradhapura yesterday (18th). an international warrant has been issued against former Governor of Central bank Arjun Mahendran as well. 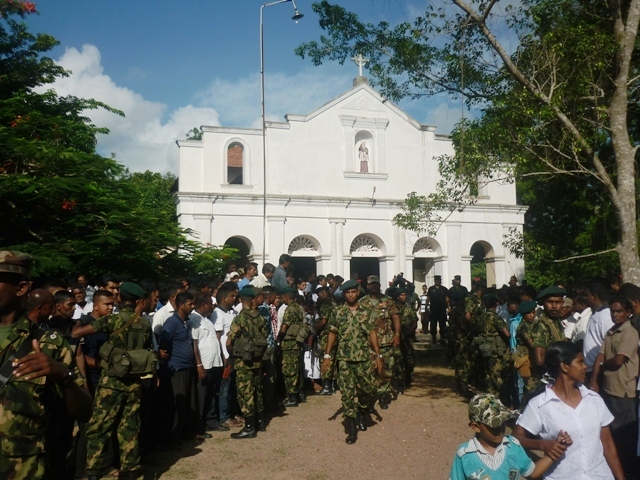 “We could bring down Udayanga, whom the government is unable to get down. We have asked Udayanga to come and he would come. The government could not do it. The Prime Minister too can tell his friend to come here,” the former President had said. Mr Udayanga Weeratunga was Sri Lanka’s Ambassador to Russia during Mahinda Rajapaksa administration. Udayanga Weeratunga, former Ambassador to USA Jaliya Wickremesooriya and Arjun Mahendran are abroad and are avoiding court. If matters are carried out according to audit reports about half the state officials in the country should be in prison by now just like Lalith Weeratunga was punished for violating financial regulations says Auditor General Gamini Wijesinghe. The Auditor General said this at a workshop organized by the Parliamentary Committee on Public Accounts (COPA) and held at Battramulla yesterday (18th) to apprise journalists. A six-hour debate on frauds and corruption committed in several institutions and revealed in the Parliamentary Committee on Public Accounts will take place in Parliament tomorrow (19th) according to sources in the Parliament.